Handmade, Handpainted Czech Glass Rose Beads 6mm (for custom rosaries only, not for individual sale). See description below for more details. 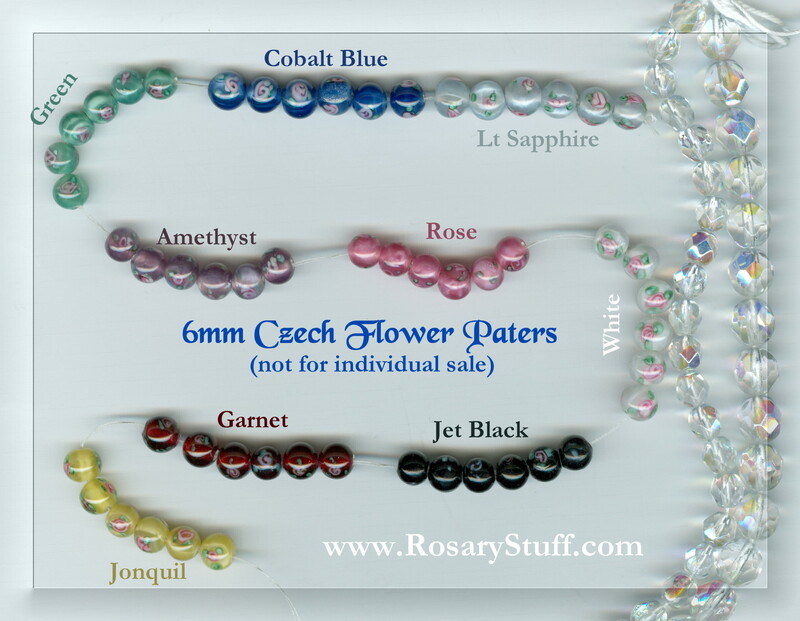 These sweet little handmade, hand-painted Czech glass Pater beads will make any rosary special. Since they are all made by hand, the size will vary slightly between 5.5mm and 6.5mm. The above picture shows a variety of these charming rose/flower Pater beads along with a string of 6mm fire polished beads in order to help get an idea of size and visual balance. Prices include all 6 Pater beads. 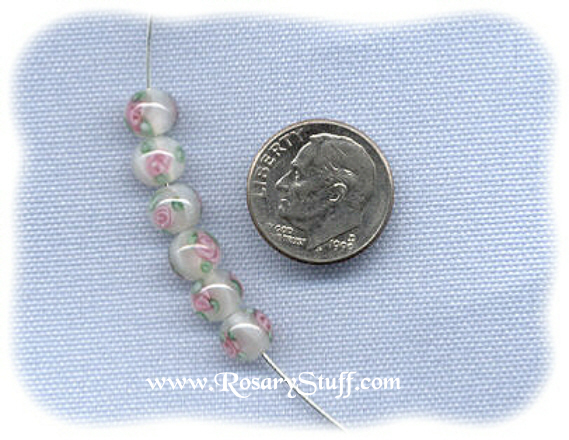 Please keep in mind these beads are for custom rosaries only and not for individual sale. If you are a rosary maker looking to buy these individually, please feel free to send me a special request by email. I can't guarantee I'll have extras in stock, but if I do I can create a special listing for you to purchase them individually.